In the spotlight – presentation of the flagship smartphone OPPO Find 5 with 5-inch Full HD screen and Quad-core processor Qualcomm Snapdragon S4 Pro. Since the beginning of April the sale also presents one of the thinnest smartphones in the world OPPO Finder X907 (thickness 6,65 mm). There are several brands that traditionally lead in the smartphone market. Perhaps everyone can list them. But what do you think, do these "molodyaschihsya old men", fascinated by the copying itself, the real opposition? Until recently, on the "other side" of the smartphone market, the alternative of bored Koreans and Americans knew one. Geeks, visitors technical forums, journalists of specialized publications... Meanwhile the global smartphone market, technological opposition of the usual leaders independently and actively developed. The only reason we did not know before about them – they didn't want to. Have you Heard of the smartphone brand OPPO? The characteristics, design, quality of materials and Assembly of the device OPPO can argue on equal terms with the products of Apple, HTC and Samsung. 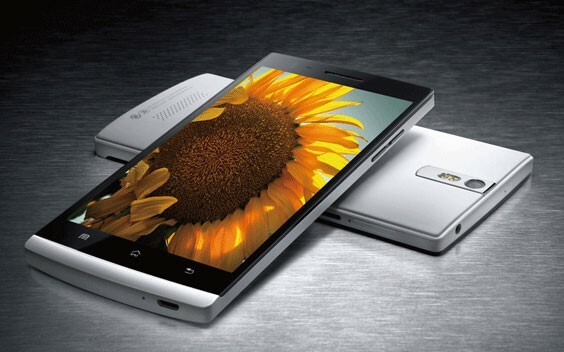  OPPO is one of the market leaders in China. Market, where presume innovations sometimes appear earlier than in Europe or the US, and the choice of a cheap (but high quality!) smartphones wide as anywhere else. And, despite all this, the OPPO manages to produce and sell 10 (ten!) million smartphones per year (the volume of the Russian market of mobile phones in 2012 was 42.2 million ). People take and flit from happiness.  OPPO will only trust their engineers, programmers and managers. No third-party developments! Only their own know-how! The state of – 1 400 people. All OPPO smartphones – 100% original products, starting from design and ending with our own software wrapper for Android operating system. OPPO did not order the Assembly of your models somewhere on the knee, as a well-known company from Cupertino, but simply has built its own plant. Of glass and concrete.  Is Arroitia pretentious brands that marketers skillfully imposed on current customers. Arrsize having every chance to seize the power of the hearts, souls and wallets of Russians. Long haul. Expansion on the Russian market of smartphones will be launched in late April 2013. Press conference with participation of more than 100 representatives of mass media took place on Wednesday, 24 April 2013, in a nightclub ICON CLUB. The event was officially introduced the OPPO Find 5. Yes, the one on which long before the announcement of the said half of the Russian Internet. With screen Full HD (as in a TV), with a 13-megapixel camera (great camera) and a Quad-core Qualcomm (one of the most powerful to date). Price versions of the OPPO Find 5 16 and 32 GB of internal memory in retail is 19 990 and 22 990 rubles, respectively.